MANILA, Philippines – University of Santo Tomas intends to take care of business as it heads to the final stretch of the elimination round in the UAAP Season 81 women's volleyball tournament. The Golden Tigresses qualified to the Final 4 on Sunday after the University of the Philippines suffered a shocking five-set loss to National University. Also clinching a semis berth as a result of UP's defeat was Far Eastern University. Yet the spikers from España showed no signs of complacency in booking a 25-23, 25-18, 25-23 triumph over the Lady Tamaraws in the second game of the women's double-header. 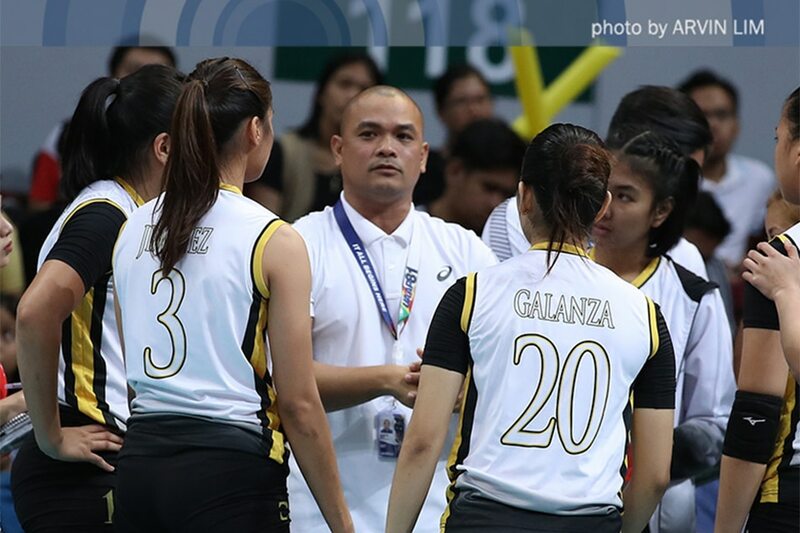 According to UST coach Kungfu Reyes, they paid little mind to the result of the UP-NU game, even if its result had a direct effect on their Final 4 fate. "Hindi namin inaano 'yun, na umaasa kami sa iba. Kasi nga, may mga nakaano pa kami, may mga remaining games kami. So we will control 'yung mga remaining games namin, tulad nito," said Reyes. 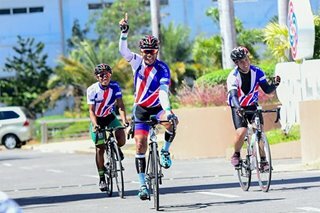 "This time, kami 'yung tatrabaho, na hindi kami aasa sa iba," he stressed. UST's record improved to 9-4 with Sunday's win over FEU; they can thus still catch defending champion De La Salle University for the No. 2 seed and a twice-to-beat advantage in the Final 4. La Salle, at 9-3, has two more games left; they play University of the East on April 24, and Far Eastern University on April 28. UST, meanwhile, concludes its elimination round schedule against National U on April 27. Reyes vows that they will keep their focus on the task at hand – that is, their showdown against the always-dangerous Lady Bulldogs. "Basta tapusin namin 'yung sa amin, 'yung game namin against NU. In high note si NU. Ano 'yan eh, nothing to lose. Talagang give all sila," said Reyes. "So ganoon din kami." "This time, kami pa rin ang may control, regardless kung ano man ang mangyari sa taas, basta kami, ise-secure namin ang last game namin," he added. "Hanggang hindi natatapos ang elimination, doon muna kami. Baka madapa kami, di namin tingnan dito, doon kami nakatingin." "So one game at a time pa rin." The Golden Tigresses will continue to train until Thursday before going their separate ways for the Holy Week.